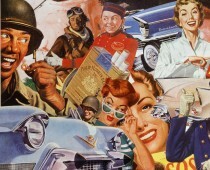 Sarah Palin steps in it again. As the buzz swirls around Sarah Palin’s defense of her son Trig using the family dog as a step stool ( “At least Trig didn’t eat the dog” she explained in a dig directed at President Obama who admitted eating dog meat as a child in Indonesia ) she’s not the first politician to piss off PETA. A look back at history would demonstrate that…gulp… even liberals can be cruel to dogs. In 1964 President Lyndon Johnson took a lot of heat when he picked up his beloved beagle Him by his ears . 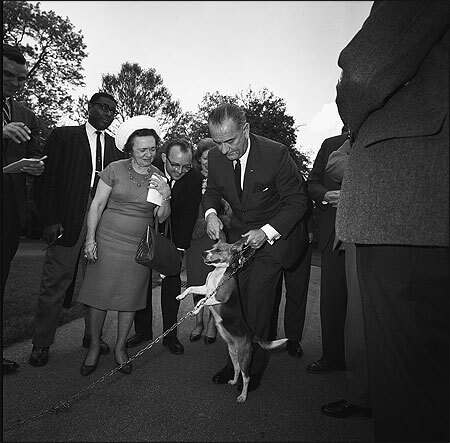 The press photo led to an outraged public crying “dog abuse” leading LBJ to eventually issue a public apology. Can’t help but think that if Sarah Palin had known animal cruelty would make her relevant again, she would have called a press conference and stepped on the damn dog herself! Ha! Ha! I agree with your assessment about her stepping on the dog herself if she thought it would make her relevant again! The important thing is that she can see Russia from her house.